The ULTIMATE Women’s Summer Freestyle Camp in Tignes, France is back! Come join fully qualified ISTD and Team GB Coach Corinne Mayhew and ex-pro snowboarder Katie Blundell on the Tignes glacier for a week of freestyle progression in a fun and supportive environment. We are offering the perfect week’s package to improve your freestyle riding each morning, followed by summer activities around the lake in the afternoon. Summer and winter rolled into one! This ladies-only freestyle camp is aimed at intermediate to advanced riders who would like to develop their freestyle skills both on piste and in the park in a supportive and testosterone-free environment! 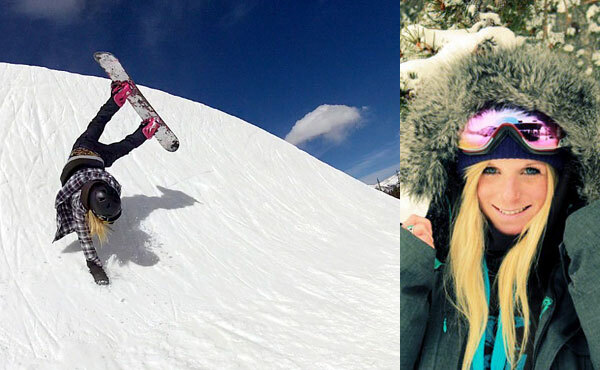 Corinne Mayhew has coached snowboarding to elite level riders and beginners alike, all over the world. She offers psychological, tactical and technical tips for riding both on-piste and in the park, and provides a supportive environment where all questions and debates are open for discussion! Katie Blundell’s professional snowboard career saw her take podium positions in many Slopestyle and Big Air competitions around the world. After taking a couple of years out to start a family, Katie remains one of the most enthusiastic and encouraging people in snowboarding and we’re sure that this infectious positivity will rub off on all the riders who attend our Summer Progression Sessions! All riders must be comfortable linking turns on red runs. The Tignes glacier boasts a wide range of features in its snow park from beginner to expert, and after this year’s amazing snowfall, the shaping crew will have plenty of the white stuff to use in their creative designs! Several ‘red’ and ‘blue’ level runs provide the perfect warm up terrain and opportunity to develop general technique. The park is divided into a small beginners area which has a quick lap, and a higher level park which offers plenty of options on a longer lap. This camp is open to female snowboarders and skiers of all ages! There will be a ski-specific coach available for all skiers who attend. Summer shredding with expert freestyle tuition and mentoring, Nikita goodie bags, yoga sessions, water-sports, off-snow training, BBQ, picnic, hiking, relaxation, evening fun… it’s all on the agenda! Spend your holiday doing as much or as little as you like.. all in the company of like-minded ladies!